Well i just learned that if you try and remove the header photo on a page it erases the whole page! And it’s non reversible! Five clicks to upload a photo, one to erase 100 hours of work! Good times, thanks Square space. So it looks like i will have to rebuild this whole page from scratch. Not fun, and it will take a few weeks. Dang. 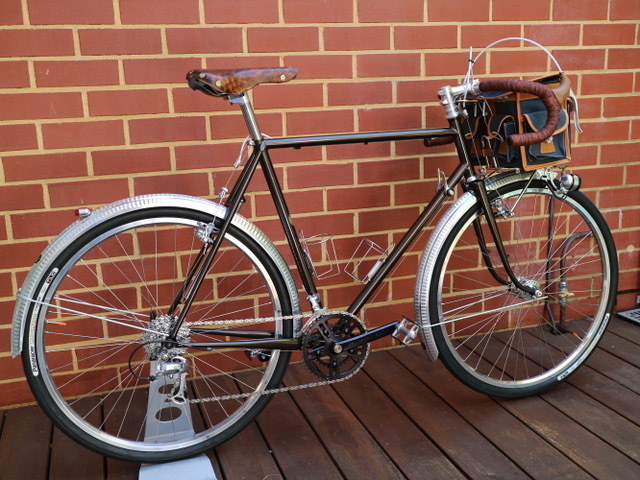 On the bright side, John S. in Perth Australia just finished the build on his Norther Lyon. This was the original prototype! He’ll send some ride pics soon too! Here are some pics from the artist, head badge maker, and decal maker’s renderings and progress. I’ll re build the sections with links and all that soon. The Norther Lyon Batch Bikes are a collaboration between the world class frame builder Jeff Lyon, and Norther Cycles. Jeff is making the frames and forks, and leaving the bridges and braze on’s and powder-coating and marketing and sales to us. They are made in small batches of 3 to 6 frames at a time, all in the same size. So far we’ve finished the first batch, and are nearing completion on the second. Jeff will start the next batch in a week. The Norther Lyon frames come in several sizes and more sizes will be added next year. Sizes include 52cm, 54cm, 56cm, 58cm, and 60cm. These sizes are measured from the center of the bottom bracket shell to the center of the top tube, not the tippy top of the seat “lug” as many like to measure bike frames. All these frames are for the 650B wheel size, for now, and 700c frames may be added sometime. All frames are fillet brazed, with “no file” finish work, so instead of being carefully filled and finished to perfection all the brazing is left raw. This is how we can build such an amazing bike for so low a price. They come standard with a one inch threadless steer tube, and cantilever brake bosses. Custom options include replacing the threadless steer tube with a threaded one, replacing the cantilever brake bosses with Compass hardmount studs for Compass brakes or vintage Mafac Raid brakes and Compass CP-1 rack mounts. Other Options include adding a third set of water bottle bosses on the down tube, or a Compass tailight mount on size 54cm and above. There are no other options.